When we started Brooklyn Creative League almost a decade ago, our vision was to create both the physical space and the professional community that was missing from our work lives. We also set out to build a different kind of company: a for-profit business whose economic value was rooted in community, collaboration, and mutual benefit. A company that embodied our conviction that we’re all better off when we’re ALL better off. Almost ten years later, we can say with pride and gratitude that we have achieved that vision--and in many ways surpassed it. One of the most surprising and rewarding facets of this journey has been the amazing people we’ve met along the way. Whether you are a friend, colleague, or acquaintance, we can say unequivocally that BCL is the special place it is because of you, our members. Thank you, thank you, thank you for helping to make our vision a reality. It is our sincere hope that you and your fellow BCL members will play an even bigger role in the next phase of BCL’s growth. We are thrilled to announce the roll out of BCL’s Business Vision 2027, an audacious 10-year plan that will transform BCL from being one of many coworking spaces in an increasingly corporate industry into something truly unique: a foundry for community capitalism--successful, sustainable, community-minded businesses that balance private profits with the public good. Using our core coworking business as a launchpad, we will develop an enterprise network of at least five new coworking spaces and three new complementary businesses. Together, these enterprises will combine social and financial capital to create economic value for our members, investors, employees, partners, and local communities. By 2027, BCL and its members will generate at least $120,000,000 in annual revenue, creating a significant multiplier effect for neighborhoods with BCL locations. Through mentorships, community fellowships, and charitable giving, BCL and its members will generate $2,000,000 annually in grants, social investments, and pro-bono services to support our local communities. At least five new locations by 2027. A foundry for community capitalism: sustainable, profitable, community-minded businesses. As we embark on this next phase in BCL’s evolution, I wanted to say a few words about how we plan to grow, because the means are intimately tied to the ends. As you’re probably aware, coworking has become an extremely hot industry over the past five years. 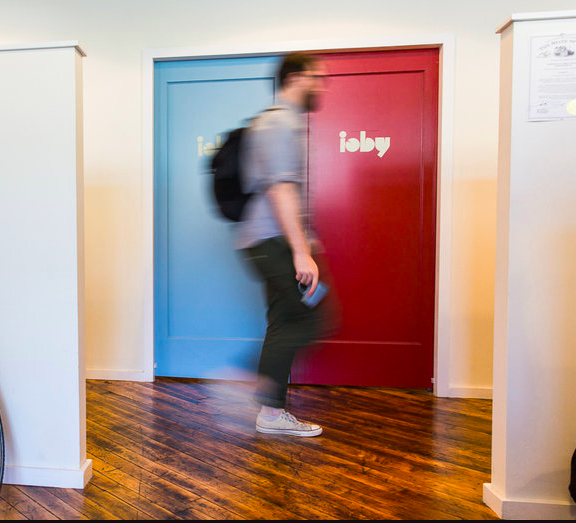 Fueled by WeWork’s $20 billion valuation, money has flooded into the sector, and we’re now seeing a glut of corporate coworking spaces all fighting to become the next WeWork. If we wanted to, we could easily turn to traditional investors, as many of our competitors have done. If you want to scale fast and have a shot at making big money, that’s the way to go. But corporate coworking comes with lots of strings attached: a relentless focus on growth over community; pressure to maximize investor returns (by extracting evermore revenue from members); and economies of scale that undermine the relationships, culture, and community that are coworking’s lifeblood. But here’s the principal reason we’re eschewing traditional investors: We want to create a model for sustainable growth through direct ownership. As the founders and sole shareholders, Erin and I have demonstrated that we can run a profitable, first-rate coworking business by sticking to our business principles and focusing on the long-view: building and running extraordinary coworking spaces; cultivating authentic professional communities; and delivering excellent customer service. As we open the door to outside investors, we are committed to sharing investment opportunities with a broad range of non-traditional investors, including BCL members, employees, local neighborhood residents, and mission-aligned individuals and institutions. We are convinced that these investors--far more than venture capitalists or real estate funds--understand BCL’s fundamental value proposition: that our business, structured thoughtfully and managed with integrity, can generate solid financial returns for investors, while also strengthening communities and creating a more resilient and equitable economy. We encourage you to read the full vision (it’s a 5 minute read). And we hope that you’ll consider joining us as a member, investor, and partner as we move into this next phase of BCL’s growth. Thank you for your membership and support.